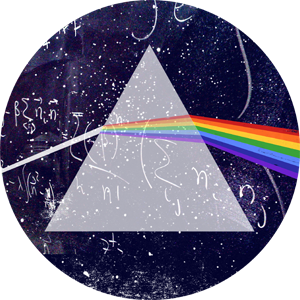 Nearly all of the quantitative information we have about the cosmos is the result of spectroscopy, the science of using spectra to make physical measurements. We can directly measure the temperature, density, pressure, or composition of a cloud of gas or a star, using a telescope and a spectrometer. The spectrum forms in highly non-equilibrium gas and dust. Analytical theory cannot be used to understand the conditions so numerical simulations are required. Cloudy is a code that does this - it calculates the ionization, chemistry, radiation transport, and dynamics simultaneously and self consistently, building from a foundation of atomic and molecular processes. The result is a prediction of the conditions in the material and its observed spectrum. These predictions depend on detailed atomic and molecular processes, a complication, but is also why the spectrum reveals so much about its source. Some time ago I wrote a non-technical article on quantitative spectroscopy, Cloudy, and my research into the evolution of the universe. Although the article is getting old, the introduction in it is still good. More recently, UK PR did an article and video on the Cloudy project. The main Cloudy website is http://trac.nublado.org/ It has instructions for how to download the code and its data, and how to build a working executable. Cloudy has been open source since 1982. It is provided for general use under an open source license. The code lives in a subversion (usually called "svn") source code control system repository. You can view the entire Cloudy svn repository, including our development versions, here. We use the doxygen markup to document the source code's structure. The doxygen view of the current release is here. The Cloudy user group website is a Yahoo group here. Here you can ask questions and receive news about updates. Cloudy is one of the more highly cited codes in astrophysics. I ask that users cite Cloudy's documentation when the code is used in a publication. Today about 300 papers cite Cloudy each year. These ADS citations are one way to measure the code's use. There have been several main references over the years. Originally, I asked that users cite Hazy, the documentation included in the code's download. This link gives links to the roughly 1100 papers that cited Hazy. The 2013 release, called C13, is described by Ferland et al. (2013). This link produces a rank-ordered list of the most highly cited ADS papers published in 2013. In early 2018 this paper had roughly 460 citations and was the 10th most cited paper. The 2017 release, called C17, is described by Ferland et al. (2017). These are schools where participants can learn about spectroscopy and Cloudy. Its website is here. The workshop began a world tour in Lexington in 2012, visited Belfast (NI), Durham (UK), Leiden (Netherlands), Warsaw )Poland), Pune (India), Shangdong (China), and ended in July of 2017 in Tonantzintla (Mexico). A world tour map is here. The next workshop is in Chiang Mai Thailand in May 2018. The local website is here. Osterbrock & Ferland 2006, Astrophysics of Gaseous Nebulae and Active Galactic Nuclei, 2nd edition (Don always called this "AGN3"). This is a graduate text that covers much of the physics in Cloudy, emission lines in nebulae, and Active Nuclei. Ferland 2003, ARA&A, 41, 517, Quantitative Spectroscopy of Photoionized Clouds A review of the status of the field and the outstanding research problems. Hamann & Ferland, ARA&A, 37, 487, Elemental Abundances in Quasistellar Objects: Star Formation and Galactic Nuclear Evolution at High Redshifts. This applies Cloudy to measure abundances from the strong lines seen in Active Nuclei and finds a luminosity - metallicity correlation. Ferland 2001, PASP, 113, 41, Physical Conditions in the Orion H II Region A review of the current status and problems for the Orion Nebula, the brightest and nearest H II region.